One of the most desirable fabrics in the winter time is tweed, a fabric with a wonderful texture and a unique vintage look. About two hundred years ago, tweed was considered a top-quality fabric for making durable warm coats. The nobility loved the crude rough fabric and many coat models were made at the time, varying in texture. Many years later, Coco Chanel used tweed in the suits she designed, giving a seal to the more accessible day-to-day use of this fabric. 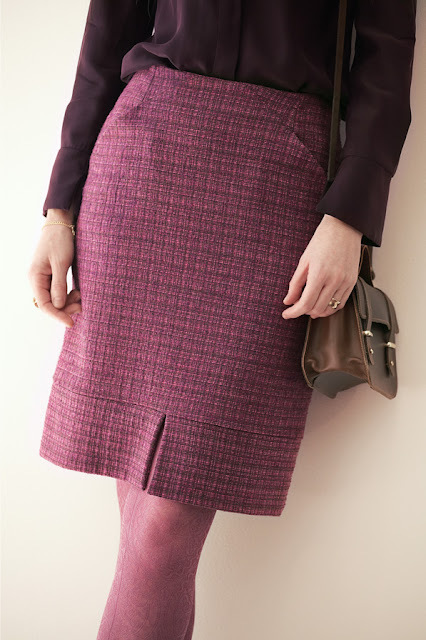 I designed a straight tweed skirt with front pockets and a front cleft. 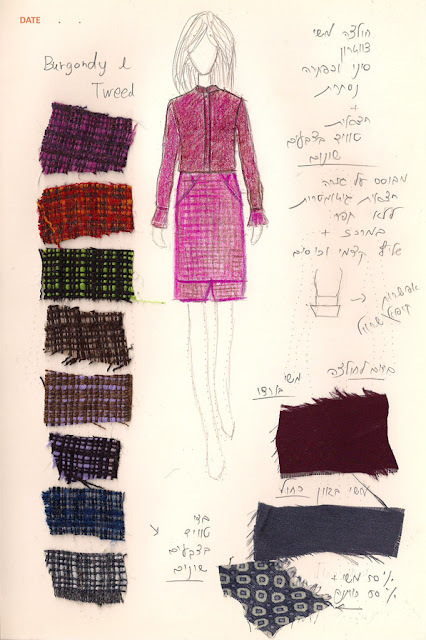 The skirt comes in a variety of plaid tweed fabrics in shades of pink, red, purple, gray, green and blue, interwoven with black. I attached samples of the various colors to the sketch in this post. 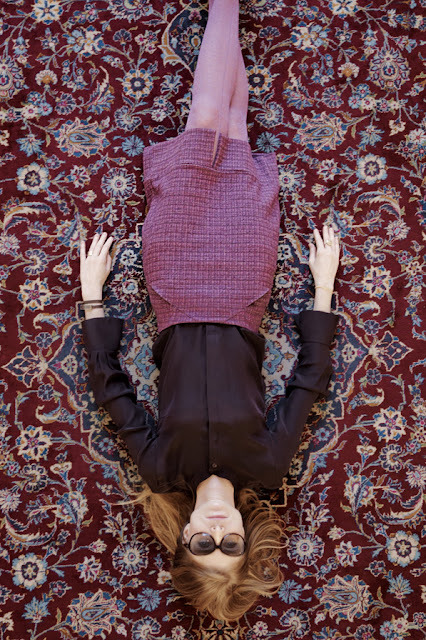 The ‘Burgundy’ blouse is made of high-quality purplish-Bordeaux silk. The blouse has a Chinese collar and a hidden buttoning. The sleeve cuffs are designed to be folded or lifted below the elbow in the upcoming autumn days.